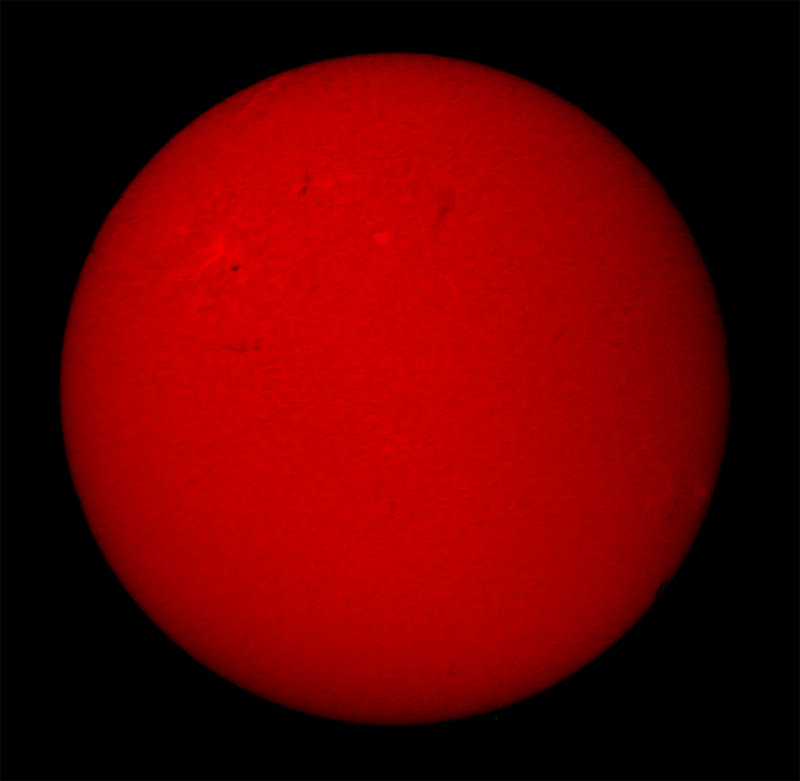 A DMK camera fitted with a 2.5x Barlow was used with a Solarmax ll, 60, BF 15, H-alpha scope. A 2500 frame AVI was captured every 5 minutes for 40 minutes. The AVIs were processed in Registax 5 and then made into an animation. 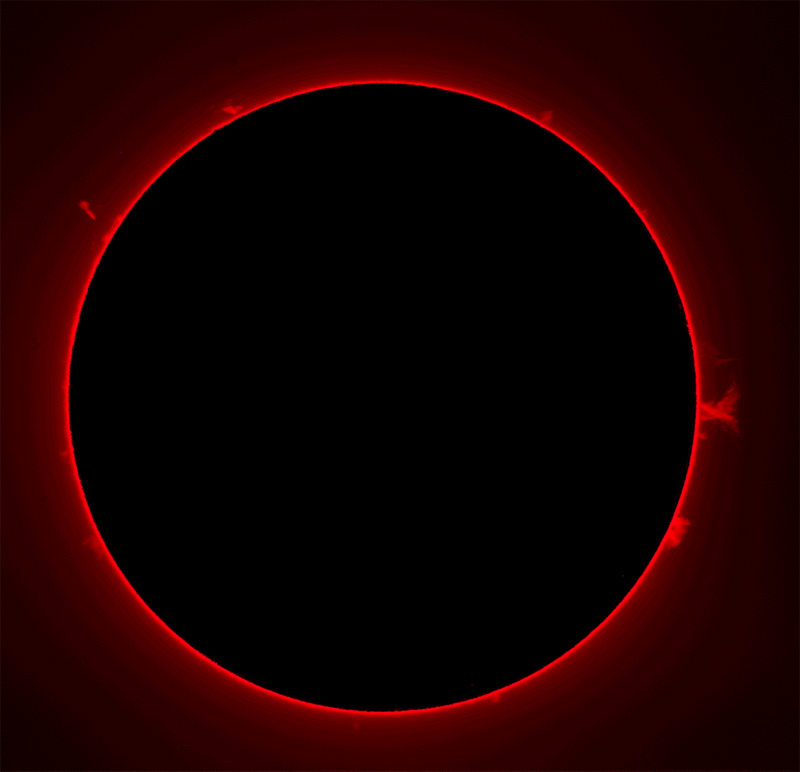 A disk image was combined with one of the images to see the prominence in the context of disk. 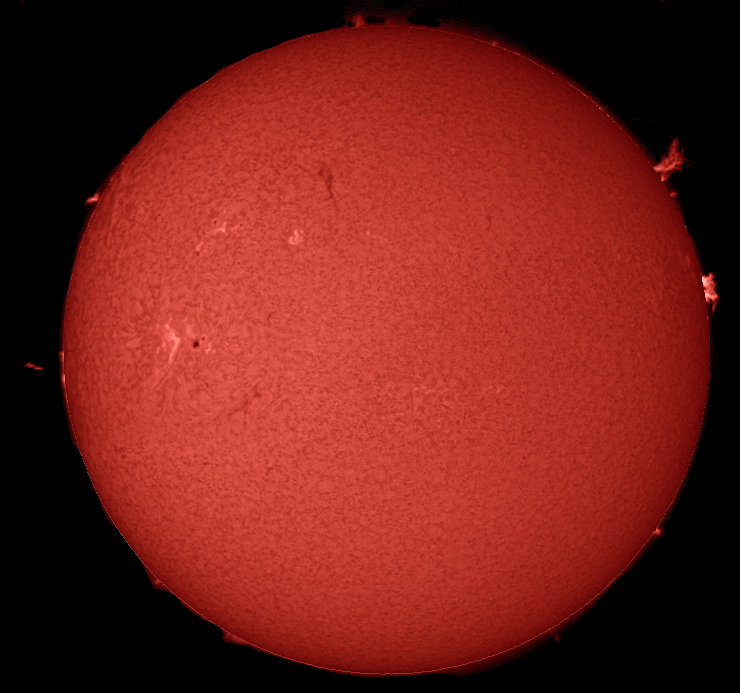 Four 2500 frame AVIs of overlapping areas of the Sun were captured exposed for the disk and another four were exposed for the prominences. The AVIs were processed in Registax 5 and then combined into a single image. 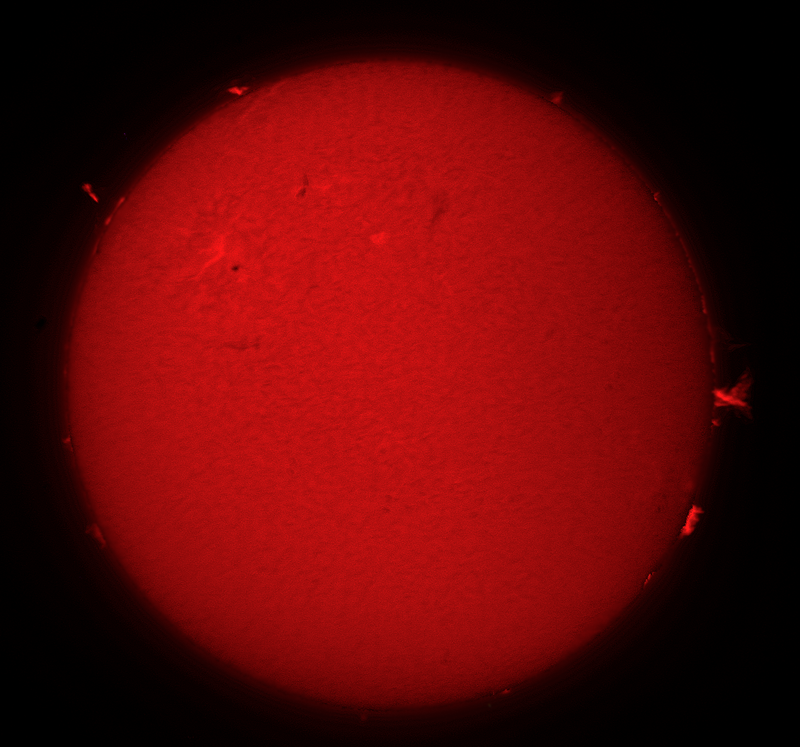 The image was colourised to reflect the wavelength used. 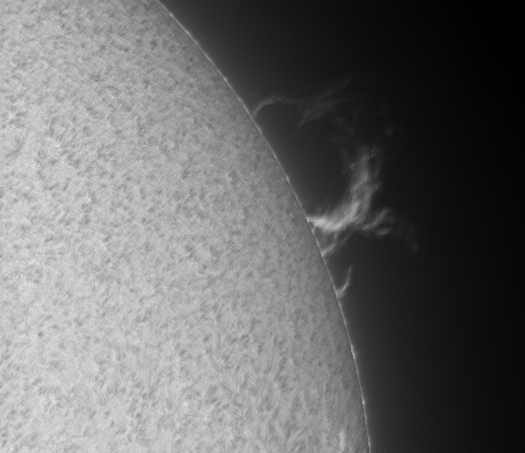 A Pentax K-x DSLR was attached to the H-alpha scope and 10 images were captured exposed for the disk, and another set exposed for the prominences. Registax was used to stack the images,which were then combined into a single image.